The beginning of any discussion with children about the world should start with a map! 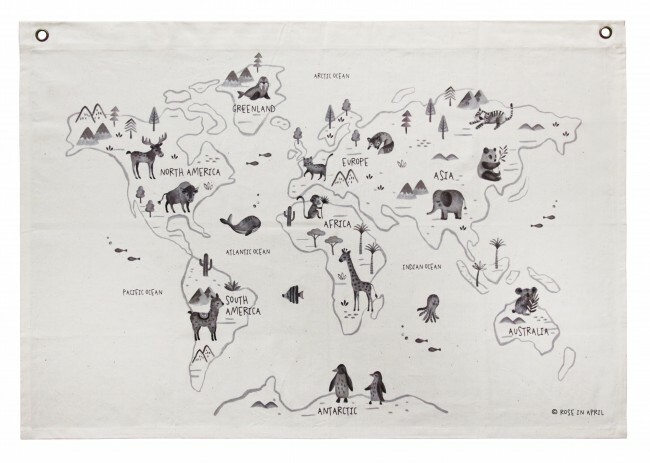 This whimsical and cute world map designed by Rose In April depicts animals and vegetation from around the world. Maps are a meaningful gift and something that everyone can appreciate. 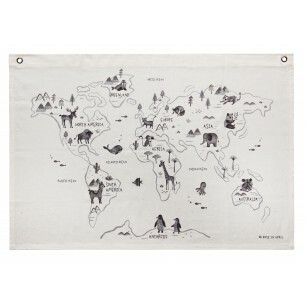 This modern design printed on white canvas fits any decor and will be a constant geography lesson for explorers big and small. Once on the wall of the room, this world map will be the starting point for your child's adventurous travel dreams around the world. My Shiny Shop thinks this is a great art for the mindful parent raising a global child. 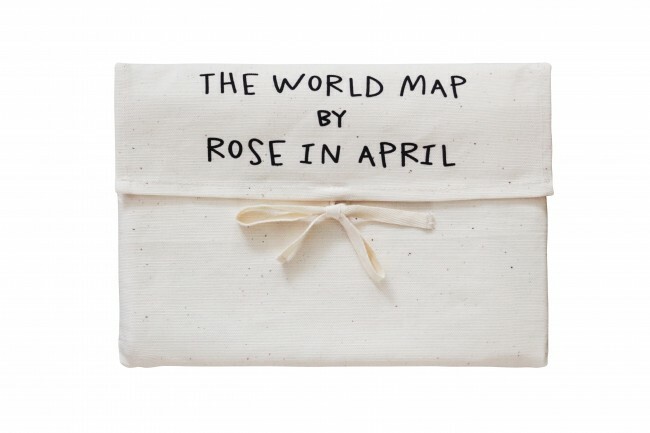 A little something extra - the map is delivered to you in a pretty pocket with a bow to tie. It's the perfect gift for a birthday.